Foliage is always in style, and FormDecor’s got it! Try using these Boxwood Hedges to create a verdant backdrop or intimate garden nook! No, we haven’t taken up gardening (yet! ), but this artificial greenery is so realistic that you might think we have! 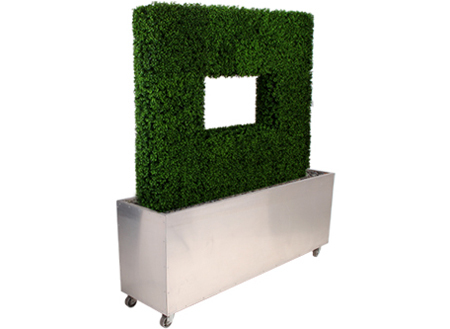 The brushed steel Beau Monde Planter base also comes with a natural bamboo screen option. Or create your own planter insert for a truly original look!